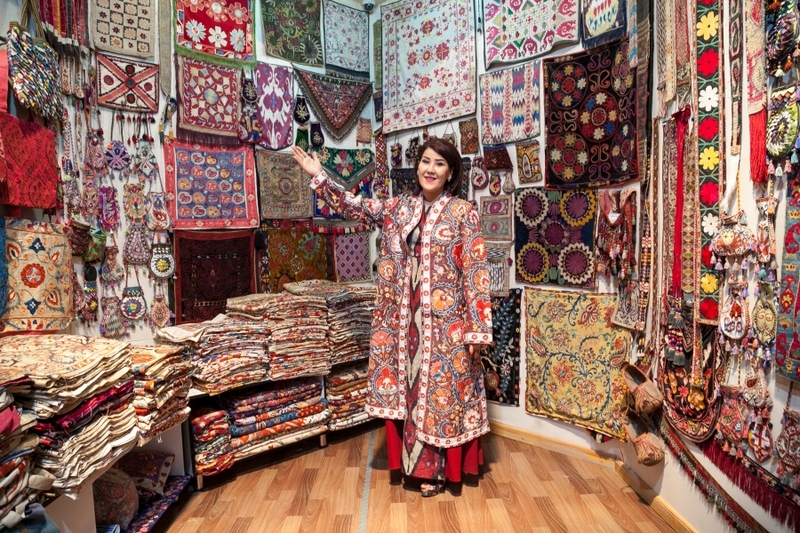 Zulya Rajabova welcomes you to shop Uzbekistan's Silk Road centers! Tashkent, the Capital city of Uzbekistan, was a central crossroads of the Great Silk Road for many centuries. It is renowned for its bazaars, handicraft centers, museums, art galleries, and ancient sites. Visit the 19th century historical site, the Abul Kasim Handicraft Bazaar, where you can see the craftsmen at work and appreciate the skill and techniques that create the object you buy. Admire the detailed miniature paintings on charming paper maché jewelry boxes, traditional carved wooden book stands, walking sticks and a myriad of boxes, elaborate embroideries, rugs, and musical instruments. In the afternoon, visit the Silk Road section of Tashkent to see the Kukaldash Medresseh and the 2000 year old Chorsu Bazaar (Eski Juva). Here, you will find everything - from mountains of fresh fruits and crisp vegetables to fine jewelry and gold embroidery, hand-tempered knives to ceramic bowls and hand painted cradles. The vendors know their merchandise and are happy to tell you everything about it. Bargaining for your treasures is part of the fun! Ride the gorgeous Tashkent metro and get a true taste of every day life. Dinner at a Traditional Uzbek Restaurant. Early morning flight to Urgench for the drive to Khiva, one of the most ancient and magical cities of Uzbekistan. Accommodation at the Hotel Shakhrezade. 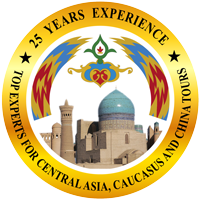 Sightseeing tour to explore the antiquities of the Ichan Kala (Old City): the Ata–Darvaza, the blue-tiled 14th c. Kalta Minar, the Mohammad Aminkhan and Khodja Islam medressehs, the Kunya Ark (Ancient Citadel), Tash Hauli Palace, and caravanserai (traditional inn for traveling merchants). Visit the Khiva Silk Carpet Workshop, where carpet makers use traditional methods and vegetable dyes to hand-weave silk rugs patterning them after Khiva's majolica tiles, doors, and miniature paintings. Dinner with a panoramic view of Khiva by the moonlight. Early breakfast. Sightseeing day drive to Bukhara through the Kyzilkum desert, once the main route of the Silk Road connecting China with the the West. Along the way, stop at a nomadic yurt camp, enjoy a picnic in a local chaikhana (tea-house) and a photo opportunity near the Amu Darya (Oxus River). In Bukhara, accommodation at lovely Minzifa boutique hotel. Dinner around the pond under the mulberry trees at the Lyabi Khaus Complex, the center of Bukhara's social life. Bukhara is a fabulous UNESCO World Heritage Site. Explore the Lyabi Khaus Complex, the colorful local souvenir stalls and the Nadir Divan Begi Khanaka (traditional hotel for merchants). 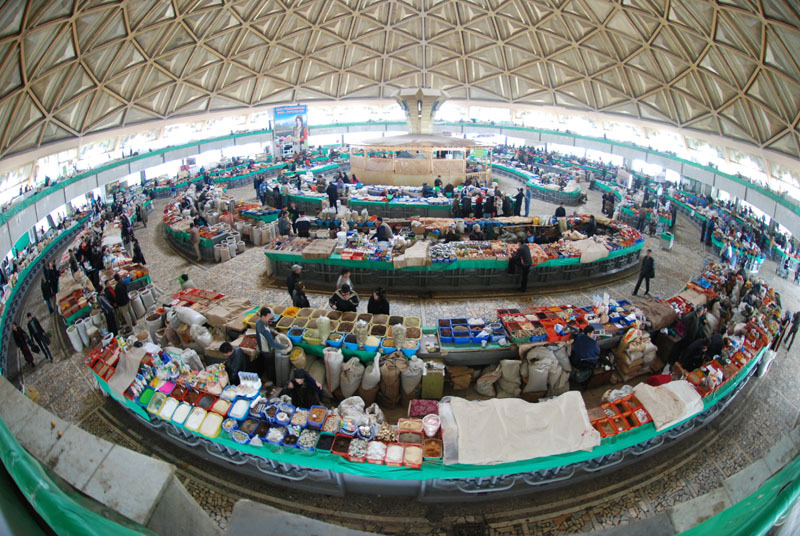 The trade domes of Bukhara's bazaar date from the 16th c. with separate areas for vendors of silk, carpets, puppets, hats, jewelry, and the cheerful, charming and colorful figurines of local characters. Nearby is the Poi-Kalon Ensemble with the greatest minaret of Central Asia. 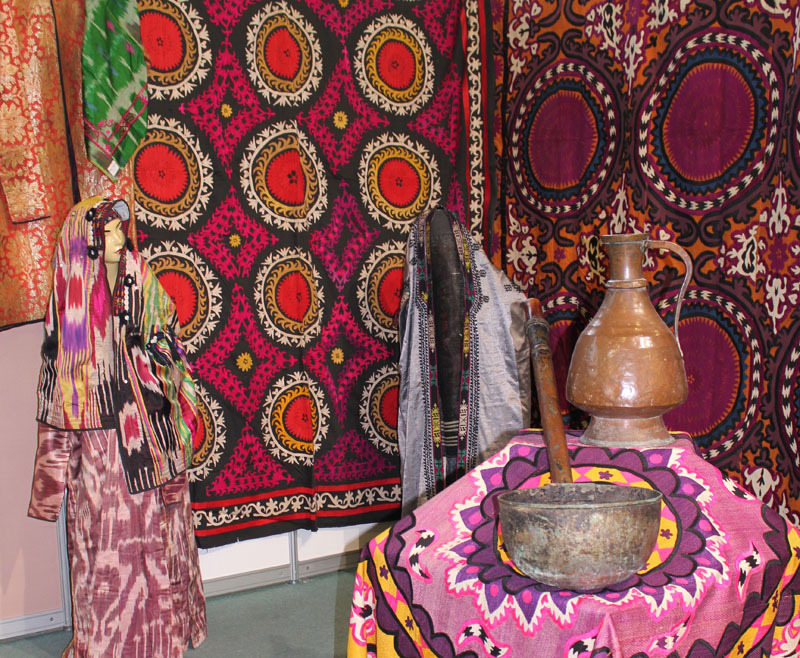 Something you will notice is that textiles are an integral part of life in this region. Young girls traditionally begin making their own embroideries and household items for their dowries from a young age. Even the most modest of homes is filled with woven, embroidered and appliquéd textiles. Prayer rugs, saddle bags, cradle covers, yurt bands, tent flaps, door hangings and bedding covers are popular items. Dinner and folklore show featuring local dancers, singers and a fashion show highlighting the fabulous local fabrics and designs. 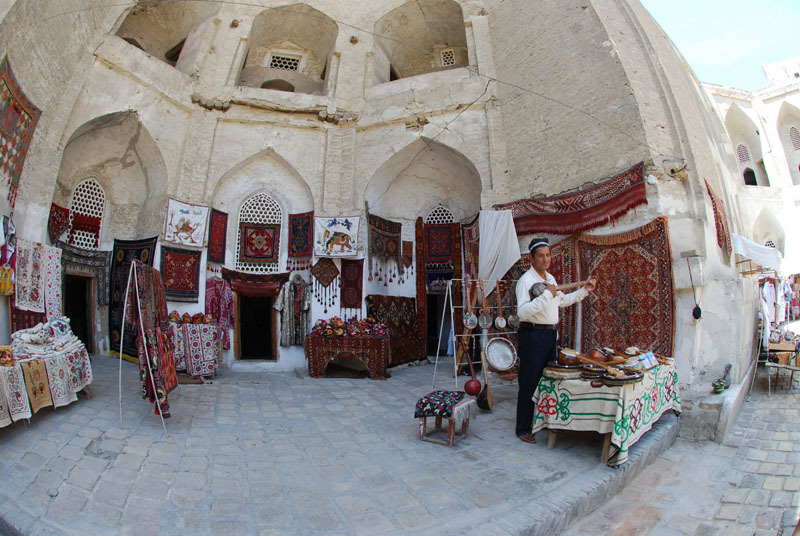 Sightseeing and shopping tour of the Summer and Winter Residences of the historic Emirs of Bukhara. Visit the Museum of Applied and Decorative Art. In the Sitorai Mokhi Hossa (Summer Palace) are displays of traditional silver necklaces, pendants, bracelets, belts, earrings, suzanis (large embroidered wall-hangings), exquisite caps (doppi and tebeteika), robes made from a rainbow of silk ikats, and fabulous examples of ancient fabrics. Kashkadarya embroiderers are known for their lovely handbags. Enjoy a wine tasting in the centuries old Nugai Caravanserai. A caravansary was a place of rest for merchants and their animals. The Nugai has been converted to a collection of boutiques and handicraft shops. 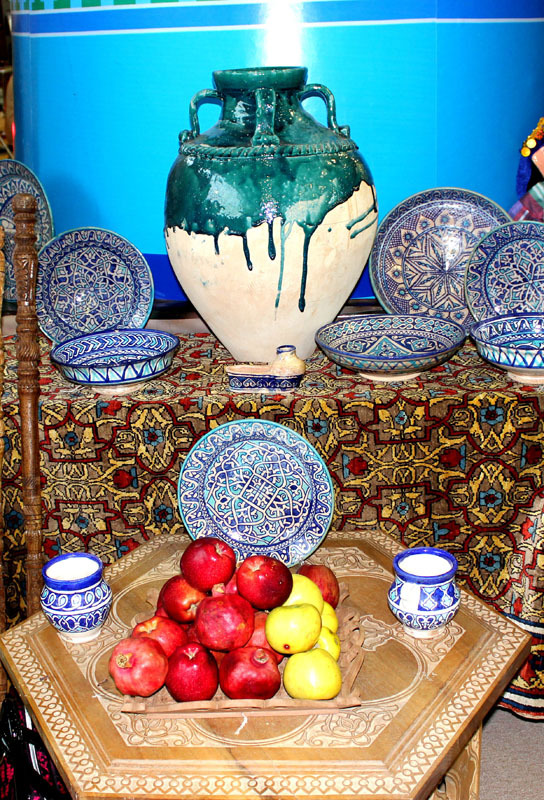 Travel the Golden Road to Samarkand through the desert today, stopping at the Gizhduvan School of Ceramics. Afternoon arrival in Samarkand and accommodation at the Malika Prime. Explore the world famous handicraft centers of Samarkand, one of the oldest inhabited cities on the Silk Road and beloved of Tamerlane and Marco Polo. Specialties of the area include hand made mulberry paper, carpets and pottery in traditional shades of blue and white. 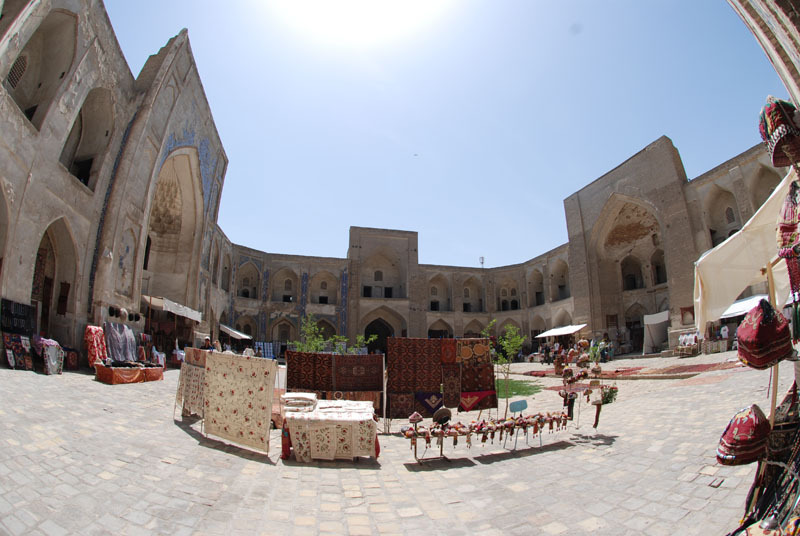 Exploration and shopping, comfort and adventure in ancient Samarkand. Our sightseeing and shopping tour begins in Registan Square, the main attraction of Samarkand and an impressive place for holding the world's finest music festivals and celebrations. 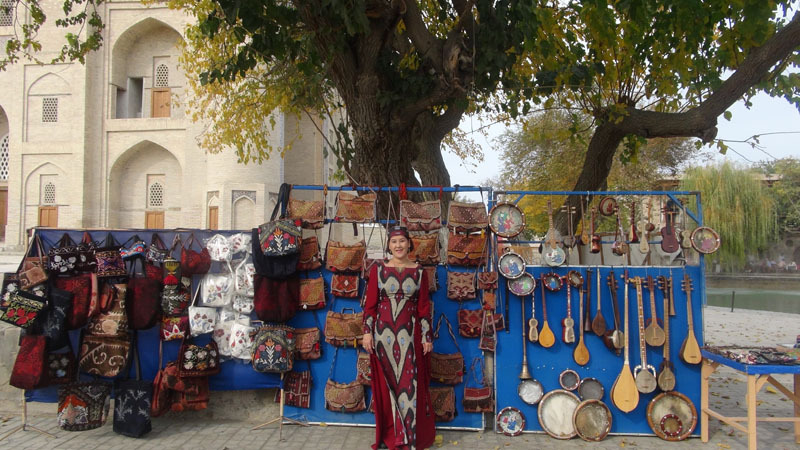 It is the prime spot for souvenir and handicraft shopping in Samarkand. It houses countless stalls in the medressehs, for ceramic and embroidery items, carpets, hats, caps, and a variety of ethnic textiles. Visit the Bibi Khanum Complex and the Guri Emir Mausoleum. 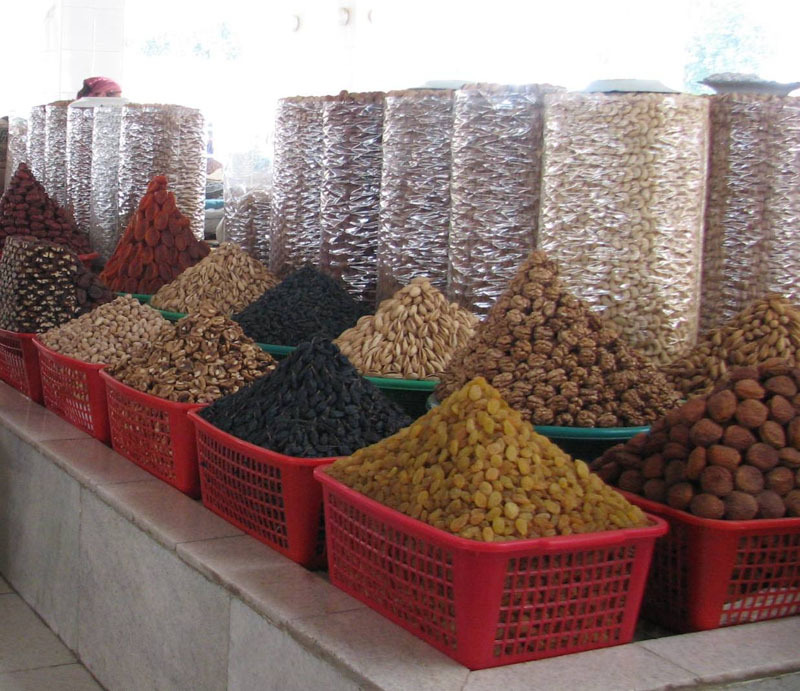 At the Samarkand Green Bazaar enjoy the most delicious local breads, sweets and fruits. Dinner with Folklore show. Drive to Shahrisabz, the birthplace of Amir Temur (Tamerlane). 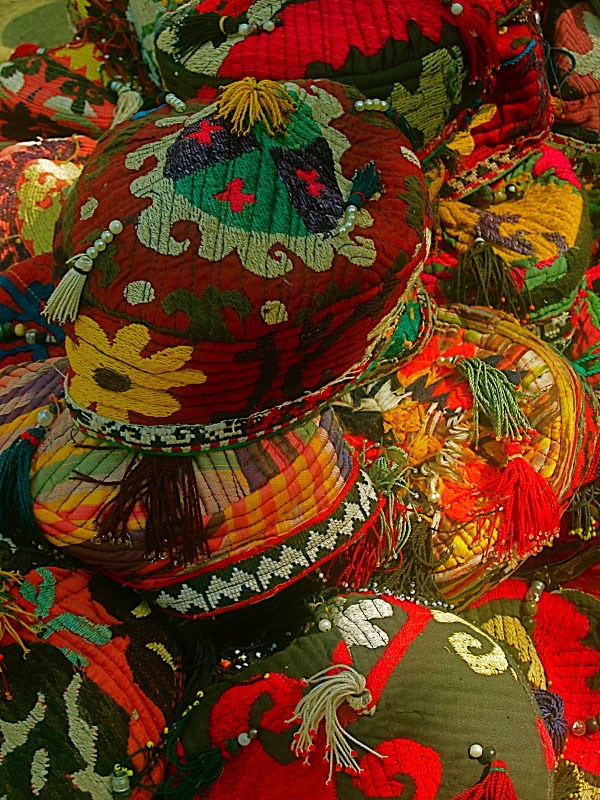 Shakrisabz is known for its carpet weaving, fine embroidery, tubeteikas (Uzbek caps) and wine. After a sightseeing tour in the ruins of Tamerlane's summer residence, the Ak-Saroy and Darut-Saadat enjoy your time in the bazaar to see silk and wool embroidery wall hangings, textiles, hats, pillows, slippers, jewelry boxes, fabric design and printing. Return to Samarkand in time for dinner. Sightseeing around Samarkand to the medieval Shah i Zinda Ensemble, an ancient necropolis of finely tiled mausoleums. Be on the lookout for local artists. 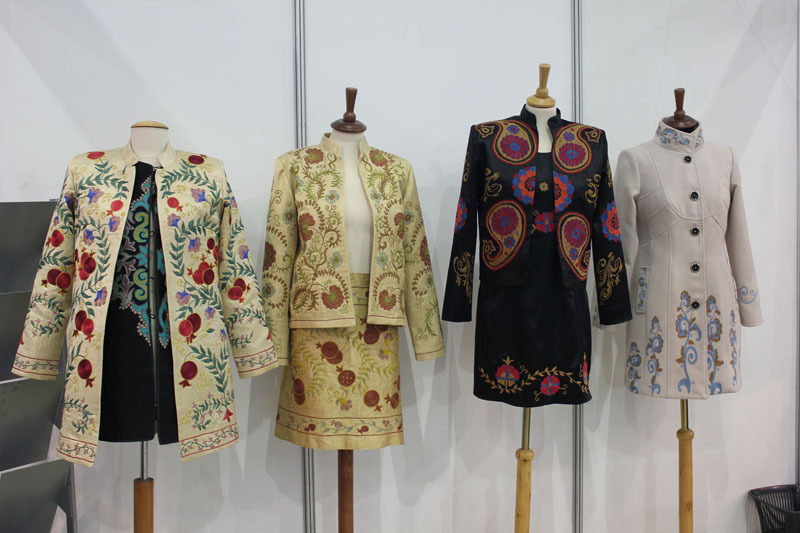 We will visit the national costumes bazaar, the Samarkand Art & Crafts Center, and a traditional mulberry paper factory and silk making workshop. Photo opportunities from the highest point of Samarkand. 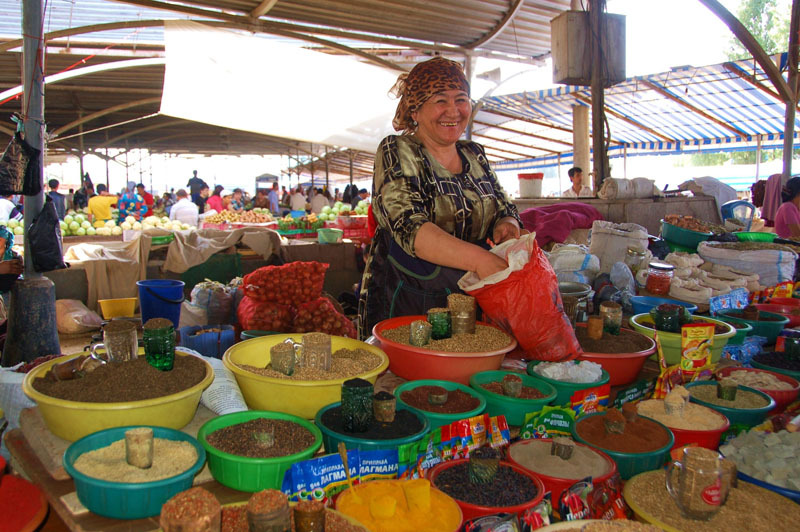 Enjoy a traditional meal at the home of an Uzbek family. Drive back to Tashkent with a stop near the "gate" of Amir Temur, the point where two mountain ranges meet. Arrival in Tashkent. Farewell Dinner. Transfer to Tashkent International Airport for your departure.